Singer-songwriter, speaker and worship leader Tanya Godsey, whose artistry occupies the space somewhere between the sincerity of Sara Groves and the passion of Bethel Music�s Steffany Gretzinger, independently releases her long-awaited, critically acclaimed and third full-length album, Love Lines The Last Horizon, Sept. 30. Four songs from the album are available now for immediate download with iTunes pre-order. 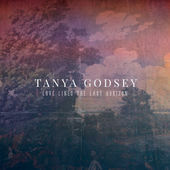 There is also a special Love Lines The Last Horizon Deluxe Edition releasing today exclusively at www.TanyaGodsey.com and featuring stories behind some songs along with other bonus material. In a culture caught up in a fury of differences, fear and uncertainty, Love Lines The Last Horizon, produced by Ben Shive (Colony House, Rend Collective, JJ Heller, Mercy Me), is Godsey�s story of perseverance in hardship, faith in the face of despair, emancipation from fear and the ultimate triumph of God's love. In the spirit of the song, Godsey has decided to donate the proceeds from the single to benefit the work of International Justice Mission (IJM). The single is also featured on the �New & Notable� Noisetrade sampler that similarly will benefit IJM. "As a mother of two young children, I was accustomed to being abruptly awakened by a shake of the shoulder from a bad dream or a nagging cough. But in the wee hours of June 30th, 2015, I awoke to something I was not prepared for. I was startled by the sound of someone sobbing and pacing back and forth in the darkness of our bedroom." Focus on the Family�s The Boundless Show, CCM, Campus Crusade for Christ Radio, Pastor Resources, Leading Hearts, Soul 2 Soul, Praise.com, HearItFirst, Christian Musician, The Christian Manifesto and more. �Tanya Godsey�s new project Love Lines the Last Horizon is a pleasant surprise - deep, beautiful and grown up. As a radio show host I�m drawn to artists who take the road less traveled, and Tanya�s record is definitely a journey I encourage you to take,� says Andy Chrisman, Worship with Andy Chrisman host and Church on the Move Worship Pastor. Taking the new songs and experiences on the road to connect with audiences nationwide, Godsey has launched a 16-city, multi-state tour across the US. The tour is underway now and runs through Nov. 6. For all the latest Tanya Godsey news, tour dates and more, go to www.tanyagodsey.com, Twitter, Facebook, Instagram, Pinterest, YouTube and Vimeo.  Buy Love Lines the Last Horizon Now!